Kids Camp "When Seconds Count"
Kids Camp Fire Experience 2018 is here. It is time to mark your calendars for Kids Camp held at Christian Fire Company (Lancaster County) in Christiana, Pa. Kids camp is August 24th and 25th 2018. This gives the kids a first hand opportunity to step into the boots of a firefighter "when seconds count". Ask your kids if they want to attend, it will be a great experience. 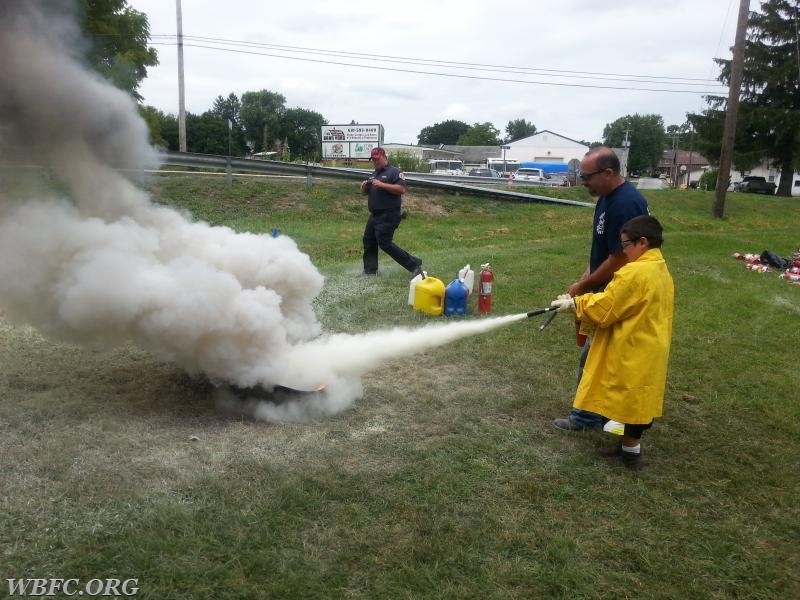 Time to mark you calendars for 2018 Kids Fire Experience held at the Christiana Fire Company. This year’s theme will be "When Seconds Count". The camp will be held on will be Friday, August 24 and Saturday, August 25, 2018. Friday from 6-8 will be Community Night with registration and t-shirt hand out. Friday will have a lot of fire and water activities as well as carnival style activities, live demonstrations, and all parents are REQUIRED to stay for Friday evening activities. Saturday from 8-4 Local fire companies will be on hand to assist with instructional activity stations as well as basic fire prevention for the kids 5-14 years of age. Parents are not required to stay for Saturday's event. Lunch will be served. Please see the link for registration. Deadline for registrations is JULY 21,2018. 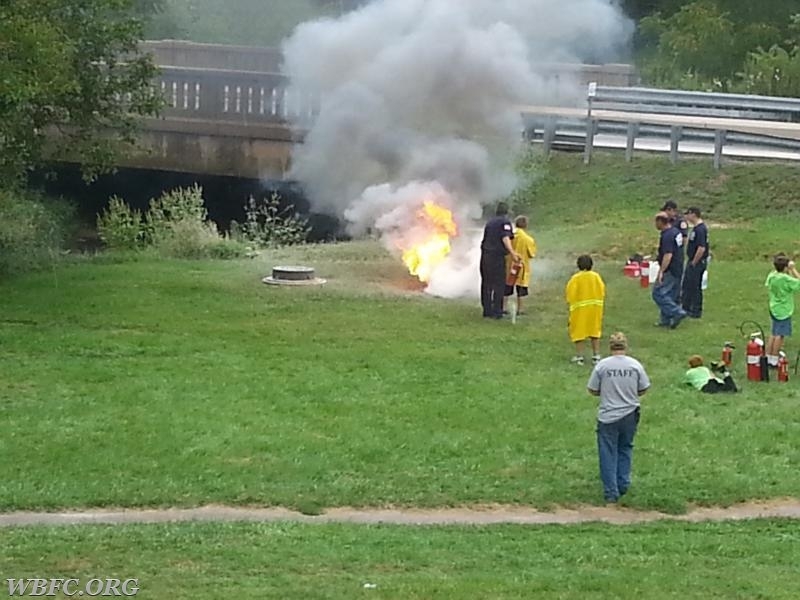 A picture from the past, at Kids Camp with FF DiSalvo, giving instructions on the use of a portable fire extinguisher.